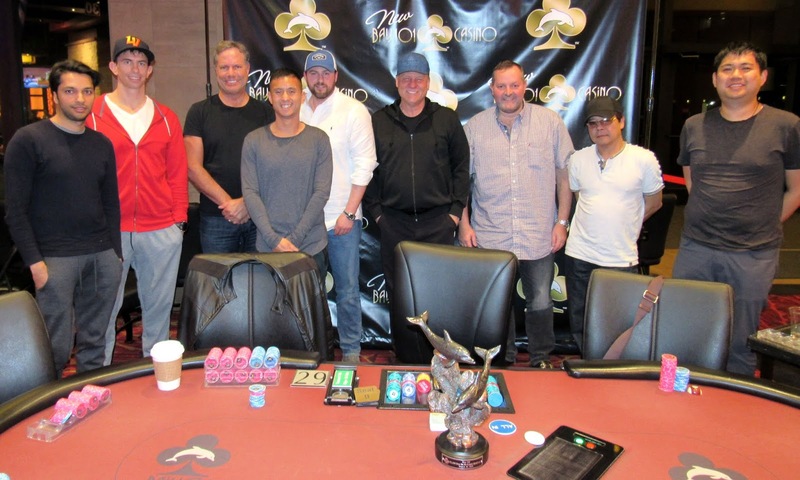 A player was knocked out from each table to bring the field down to 9 players and the final table. Play will resume shortly. On table 29, Mohsin Charania raised from the cutoff before Hiroaki Harada reraised all in on the button. The blinds got out of the way, and Mohsin made the call holding ace-jack, dominating Hiroaki's ace-eight. Hiroaki failed to improve, and he tied for 10th place.